As our main focus is on the Indonesian style roofing “Alang Alang”, there are other roofing products we can offer both supply only or install. 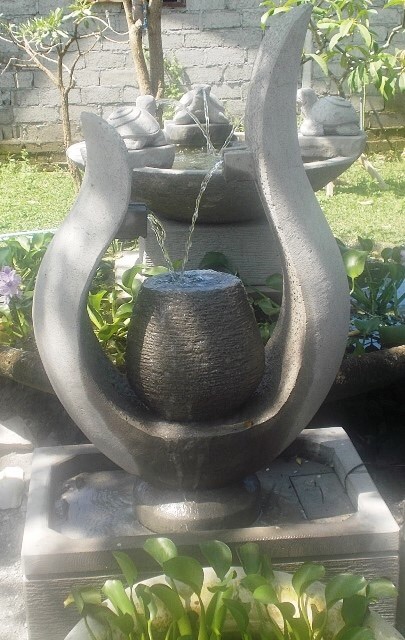 AUSSIE GARDENS ALSO HAS COUNTLESS OTHER DESIGNS IN THE PRIVATE MARKET. We also stock a large variety of pots, statues, water features and bamboo fencing to name a few, pictured on our website, with new stock arriving all the time. Another great product we offer is stack stone wall cladding, and mosaic stones. They are a fantastic product to make that “boring wall” a great feature. Have a browse through our website, and if there is any information we can help you with, please feel free to contact our experienced staff. We take pride in the range and quality of our products and projects that we are a part of. We look forward to a mutually rewarding relationship and assure you of our best service and attention to detail at all times. Handcrafted from natural, renewable resources at our factory in Vietnam. 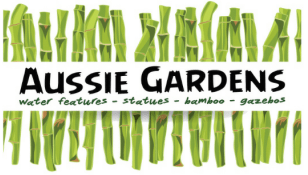 Bamboo Fencing Queensland’s tropical products can be created to specific customer requirements, or sold as individual panels. No matter the complexity of your project, with us, you will find the best quality of Bamboo for your Fences, Panels or Roof. At Bamboo Fencing Queensland, we can also build to order creations such as a Cubby house for the kids to an amazing Bali hut or Gazebo for the parents. 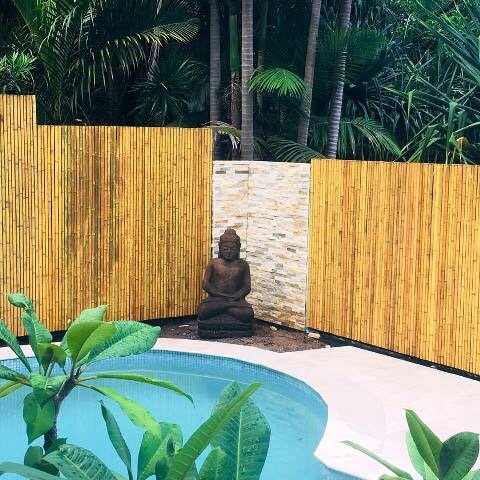 At Bamboo Fencing Queensland, we pride ourselves in providing you with not only the best quality of product, but also the best service and professional advice. Bamboo is the fastest growing plant on Earth regenerating to full mass in as little as six months and releases 35% more oxygen than equivalent stands of trees. It can be re-harvested as mature stands in 3 – 7 years without causing any damage to the environment. The incredible strength of bamboo out-performs the very best timbers in hardness and dimensional stability. Structural tests of bamboo have scored a higher tensile rating than some steel alloys, higher compressive ratings than concrete and higher strength to weight ratios than graphite. Its surface is smooth and consistent, as is the fibre of bamboo – no knots or variations in densities. Aside from a small variation at the node point, the strength is consistent the entire cut length.